PERFECTLY PRICED JUST FOR YOU! What's not to love in this beautiful, spacious 5 bedroom/3 bathroom, corner lot home with 3,192 finished sq ft of generous space...lots of room to romp. Upon entry you are greeted by a wall of windows and an amazing open concept living/dining room. The remodeled classic kitchen maximizes functionality w/ plentiful cabinets, granite counter space galore, island, huge walk-in pantry & eat-in areas (stainless steel apps included). An adjoining family room easily accommodates a colossal sectional. Conveniently upstairs youll find a bonus loft, laundry room, 4 beds, 2 full baths & includes enormous master retreat. A private office or non-conforming 5th bedroom is tucked away on the main floor. Definitely a big backyard. Plus - concrete roof, new carpet, solar panels for low electric bills, sprinkler, several walk-in closets, soaking tub & local artists Dr Seuss handi-work in one special bedroom! 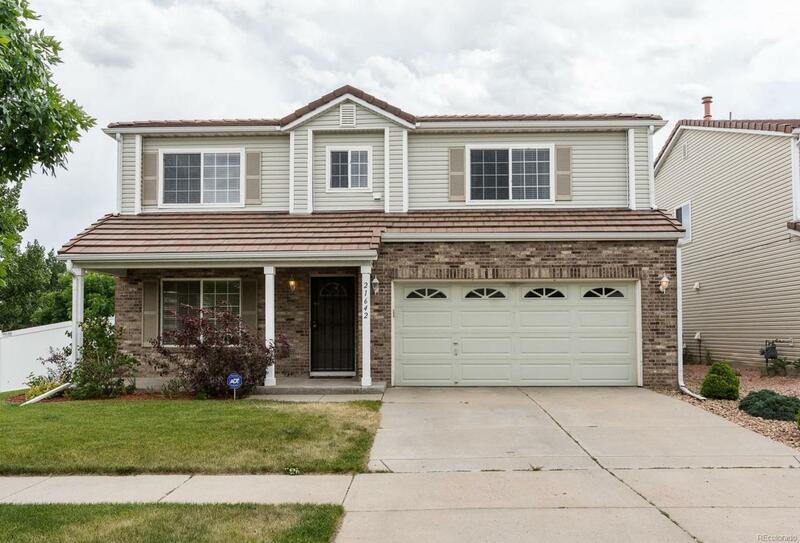 Close to DIA, Light Rail Station & easy access to I-70.